Sayeed addresses the community in which paid tributes to the diaspora. In a rare such gesture of admiration for an outgoing diplomat, about 300 people from the South Asian community, irrespective of their nationalities and religions, gathered at Monty’s Banquets Jan. 13 to bid farewell to Ausaf Sayeed, consul general of India in Chicago who has been posted as India’s High Commissioner to Seychelles. The event was attended by community leaders, elected officials, including two mayors and a state representative, officials from the State of Illinois and one consul general, all of whom paid tributes to Sayeed for his contributions towards strengthening India’s economic and business relations with the U.S., particularly the U.S. Midwest, and his efforts to make the diaspora a cohesive force during his three-and-half year’s tenure. Hardik Bhatt, Chief Information Officer, State of Illinois, said that the charismatic leadership of Sayeed resulted in signing of MoU for Smart State cooperation between the Illinois and the government of Telangana. He noted that Sayeed has been facilitating the State of Illinois for concluding similar agreements with the governments of Andhra Pradesh and Gujarat. Bhatt handed an official letter of appreciation from Illinois Gov. Bruce Rauner to Sayeed. Dr. Gopal Lalmalani, Mayor of Oak Brook, hands a proclamation of Oak Brook to Sayeed and his wife Farha Sayeed in recognition of their services to the community. Dr. Gopal Lalmalani, mayor of Oak Brook, complimented Sayeed for successfully forging unity among different organizations run by Indian-Americans. “The unity among the Indian-Americans turned out to be worth-emulating phenomenon for other nationalities in the U.S. Midwest”, he said, adding that Sayeed has “raised the bar too high for his successors to reach.” He handed over a Proclamation of Oak Brook to Sayeed and Farha Sayeed for their services to the community. Swami Ishatmananda, minister-in-charge, Vivekanda Vedanta Society of Chicago, presents a book on Swami Vivekanda to Sayeed. 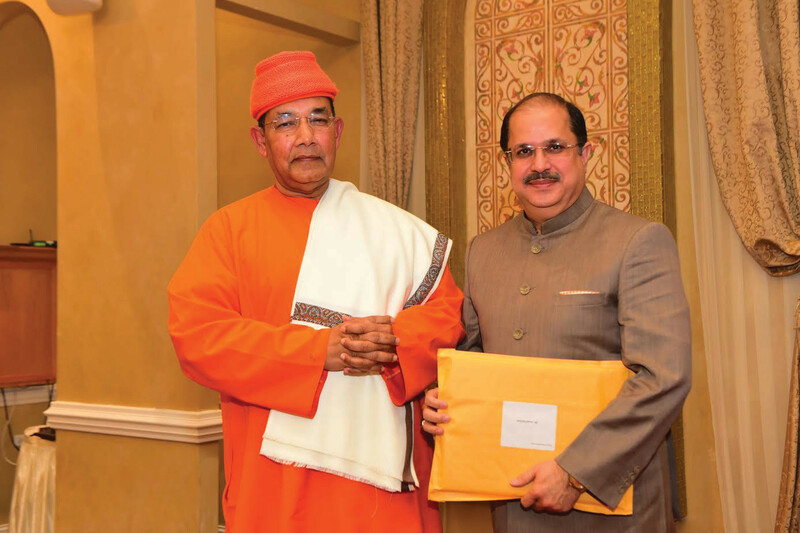 Swami Ishatmananda, minister-in-charge, Vivekanda Vedanta Society of Chicago, who was one of the speakers at the event, said he was greatly impressed by Sayeed’s deep knowledge of Indian history, culture and religion and recalled his participation in the conference marking the 150th Birth Anniversary of Swami Vivekananda. According to an Asian Media USA press note, also paying tributes were Sampath Ramesh, adjunct professor in global management, Kellogg School of Management, and Northwestern University; Syed Shanawaz Khan, vice chair, Council of Islamic Organization of Greater Chicago; Imran Dhatwani, president, His Highness the Aga Khan Ismaili Council for the Midwestern USA; Krishna Bansal, commissioner, Naperville City and Rajinder Singh Mago of the Sikh Religious Society. 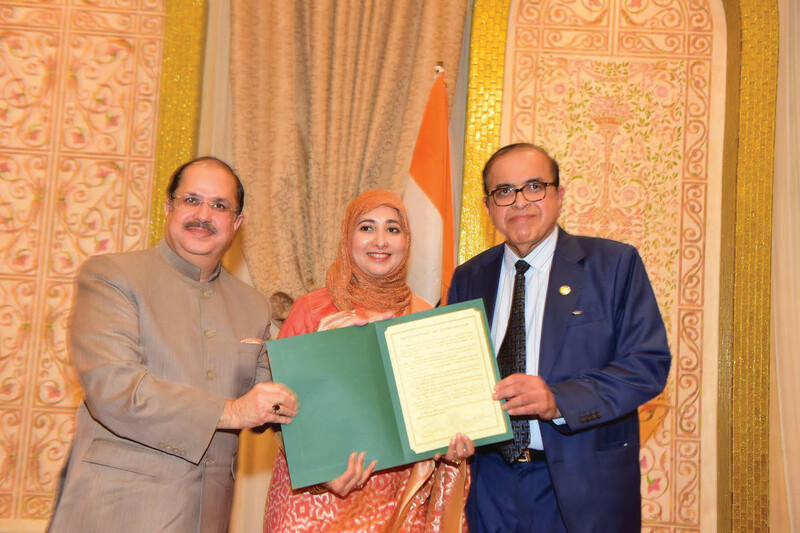 “Through a rare combination of his technical, conceptual, and people-related skills, Dr Sayeed succeeded in successfully networking with the government and corporate sectors for the Indo-U.S. Midwest relations,” Ramesh said. The event started with the singing of the national anthems of the United States and India by Narayan S, Tata and Iqbal Mirza Baig, vice president, Glory of Hyderabad, and a childhood friend of Sayeed. 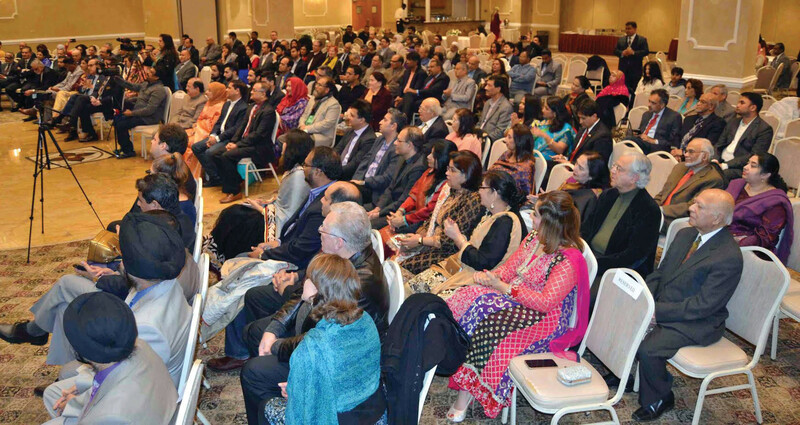 In his address Sayeed paid rich tributes to the 500,000-strong Indian-American diaspora in the U.S. Midwest, who have been contributing “magnificently” to education, science and technology, trade and culture. He expressed his gratitude to them for their unflinching support to the consulate and its activities during his tenure. A section of the community members at the farewell. Sayeed stated that with the conceptualization and execution of such innovative flagship measures by Prime Minister Narendra Modi as Digital India, Clean India, Make in India, Skills India, and Green India, and his commitment to bring about 100 Smart Cities and to lay down world-class infrastructure, India has witnessed an economic paradigm shift and thereby emerged as one of the hottest destinations for global investors. Sayeed mentioned that the efforts of the consulate during his tenure were directed towards strengthening the political, economic, cultural, educational, and people-to-people relationships between India and the U.S. As part of this process, he added, the Consulate established a close working relationship with the offices of the governors, Lt. governors, elected representatives and mayors, besides senior officials of the economic departments of various States and leading Chambers of Commerce. “This proactive networking resulted in a number of high level trade delegations, signing of a number of MoUs, and a boost to the volume of mutually beneficial business transactions”, he added. Marijus Gudynas, consul general of Lithuania in Chicago described Sayeed as a very close friend and “a brother in Sanskrit”. He said that despite the tenures of consuls general being very short, the volume of achievements of Dr. Sayeed is really mind-boggling. Michelle Mussman, State Representative of the 56th District stated that the recognitions that are being showered on Sayeed are on account of the unique fusion of his competence and commitment. 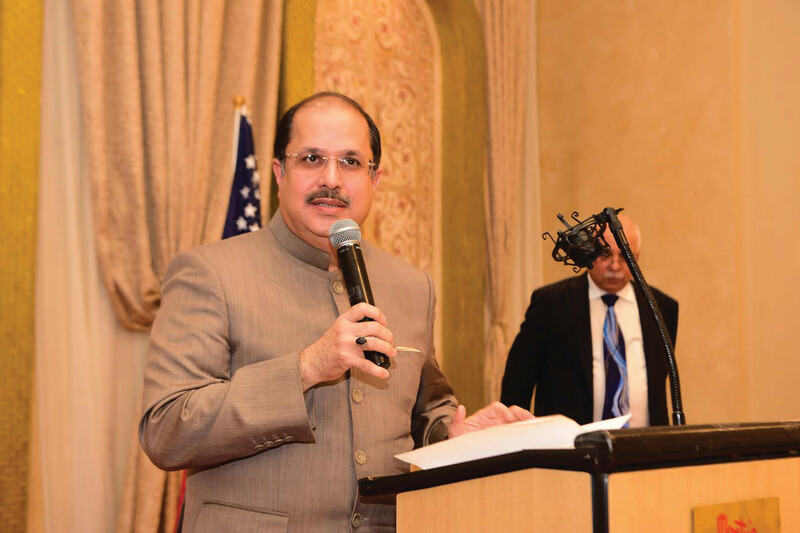 Syed Shanawaz Khan, vice chair, Council of Islamic Organization of Greater Chicago said that Indo-U.S. Midwest relations present multiple challenges. “Dr. Sayeed succeeded in protecting the interests of India in a dignified and honorable fashion”, he opined. 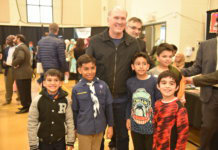 Imran Dhatwani, president, His Highness the Aga Khan Ismaili Council for the Midwestern USA said that Sayeed provided ample opportunities to Indian-Americans to contribute their optimum best to further enriching the socio-cultural fabric of the U.S. Midwest. Rajinder Singh Mago, Community Outreach, Public& Media Relations Coordinator for Sikh Religious Society said that unlike the diplomats in general who confine themselves to the four walls of their chambers, Sayeed was a people’s diplomat. “His doors, ears, heart, and mind were always open. He followed the open doors policy of ‘Every Hour–Visiting Hour – (24 Hours)’”, he added. Ashfaq Syed, Ayeisha Osman, and key speakers presented plaques of Appreciation to Sayeed. Dr. Ausaf Sayeed and Farha Sayeed cut the cake prepared by Huma Mirza. Earlier, the event kick started with the singing of the National Anthems of the United States and India by Dr. Narayan S, Tata, Mr. Iqbal Mirza Baig, Vice President, Glory of Hyderabad and a childhood friend of Dr. Sayeed welcomed the gathering. Mr. Krishna Bansal, Planning and Zoning Commissioner, Naperville City and Chairman– Indian American Outreach, Naperville Mayor’s office proposed a vote of thanks. Dr. Prem Rupani was the master of ceremonies.